Sign into your Pixellu Account here. Update the account email address. Select Update Account Info to save the changes (see screenshot below). To complete this update in Pixellu SmartAlbums 2, the software will need to be deactivated and reactivated with the new email address. Click here to learn how you can deactivate a SmartAlbums license on your computer. Note: Each Pixellu SmartAlbums 2 license can only be linked to a single email address. This means that one license = one individual user = one email address. 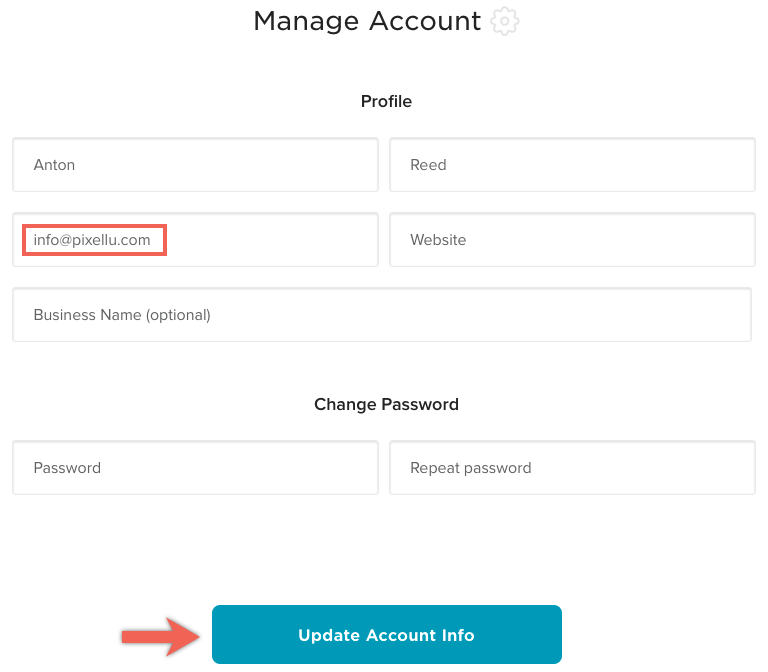 Therefore, updating the email will affect your Pixellu Account login, Cloud Proofing login, and SmartAlbums software activation.